The Frazer program contains the dealership's company name, address, and phone number to print on forms and contracts. To add or change a dealership's company information, call Frazer at 888-963-5369. A customer service representative will send an email update or provide directions to update the information in the program. 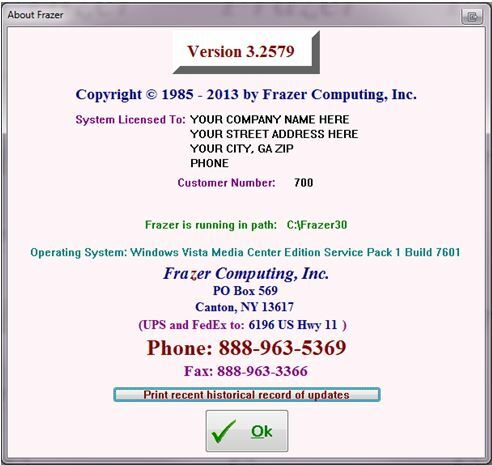 Go to Help >> 4 - About Frazer to view the company information loaded into the system.